Digital Image Correlation System, Correlated Solutions Inc. Vic-3D-IR with Fulcrum fatigue module. Assorted other UV, IR, and visible-range lenses. 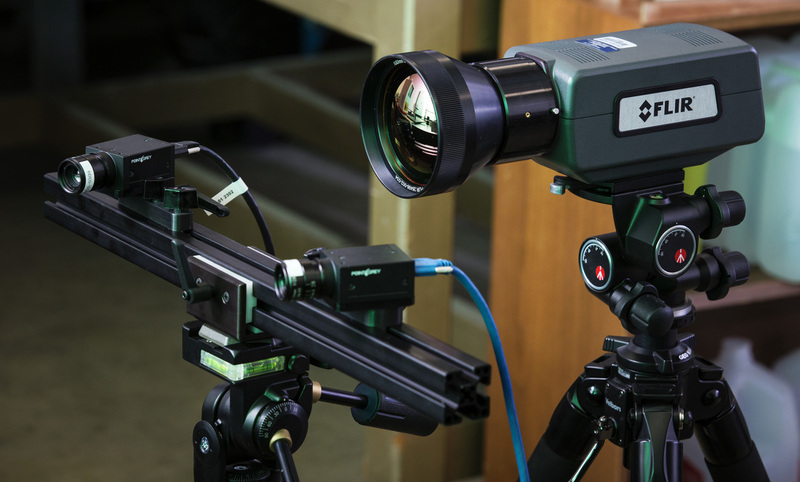 FLIR camera and stereo UV cameras. Gleeble 1500D thermo-mechanical simulator. Features an environmental chamber for air, vacuum, or inert gas; viewing window for DIC; heating and cooling up to 10,000°C/s, up to max temp 3000°C; Static loads up to 80 kN, fatigue up to 53 kN. Split Hopkinson Pressure Bar (in development). 10 kW induction heater, Superior Induction. 240 V electric furnace, Cress. 50 kN servo-hydraulic load frame, Tinius-Olsen. Gleeble 1500D system in the Mechanics at Extreme Temperatures Lab. 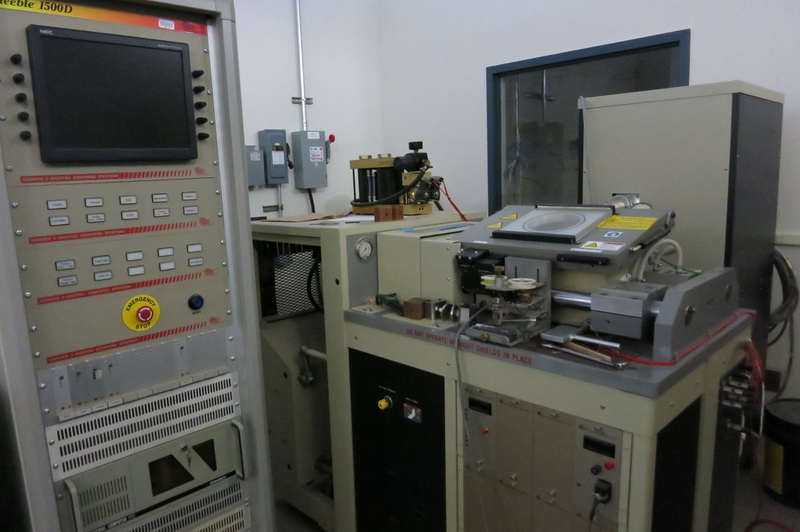 FEI Quanta FEG 650 scanning electron microscope at the USU Microscopy Core Facility.